Using TrackVia's low-code app platform, IT and business users alike can rapidly and easily develop and deploy fully customizable web and mobile applications that streamline processes and workflows in order to maximize efficiency, enhance productivity, and increase profitability. With TrackVia’s robust analytics and real-time reporting, gain full-picture visibility into your on- and off-site operations and enable employees to use data to make informed decisions across the enterprise. Extend enterprise workflows to wherever your organization's work is performed; employees can access or enter data, scan barcodes, take pictures, geo-tag locations, check reports and collaborate on any iOS or Android device using TrackVia's native apps. We are using the trackvia system to track projects, purchase orders, progress, shipments, warehousing, installation and billing.I like the ability to make tables with relationships the can be compiled into separate views easily. The “low code” platform really helps small business. The initial training support is among the best we've ever seen.The fact that we can customize our database and create specific reports was a big selling feature of this product. The initial training helped us get started and we've been able to take it from there. TrackVia will customize applications to fit your organization's exact needs, workflows and systems. Please contact us for pricing on any of our applications. -Create and deploy custom, low-code web and mobile apps in days, not months, and leverage our technology to support your processes and not vice versa. -Ensure that your applications always keep pace with changes to your business. Easily make changes to the system with drag-and-drop ease, or for IT or technical users, rapidly add code directly into your app to make more sophisticated changes to the system. -Enable employees to easily collect, track, and access accurate and up-to-date data whether they're in the field or warehouse, on-site, or at the office. Native mobile capabilities allow employees to add or access info, capture signatures, take and annotate photos, gather geo-location data, and more, from any device, with or without access to the Internet. -Streamline your current workflows and processes to maximize efficiency, enhance productivity, reduce costs and increase your bottom line. -Drive more informed decision-making across your enterprise and your value chain with access to real-time reporting on centralized data (No more complicated spreadsheets, endless email chains, or cumbersome paper trails!). -Gain full-picture visibility into your operations—never again wonder where your enterprise work stands. TrackVia offers real-time, fully customizable reports and dashboards. -Easily Integrate with or extend access to your other internal systems to ensure that data seamlessly flows to all the right places. Below are some frequently asked questions for TrackVia. Q. 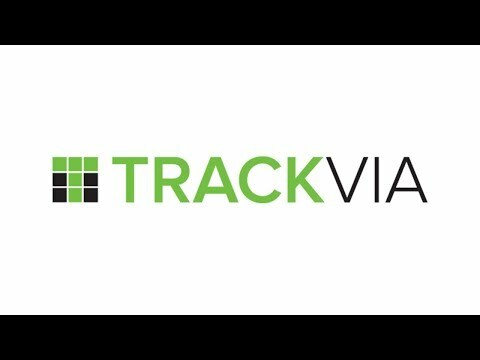 What type of pricing plans does TrackVia offer? Q. Who are the typical users of TrackVia? Q. What languages does TrackVia support? Q. Does TrackVia support mobile devices? Q. Does TrackVia offer an API? Yes, TrackVia has an API available for use. Q. What other apps does TrackVia integrate with? Q. What level of support does TrackVia offer? Q. Which apps is TrackVia compared to most often?